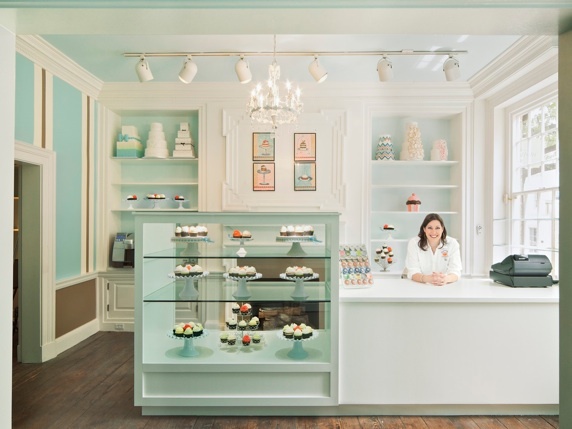 The warm and inviting almost Tiffany Blue walls with clean white trim and chocolate brown accents leaves you wanting to grab a cupcake or maybe two from the case along with a cup of coffee and just dive right in. 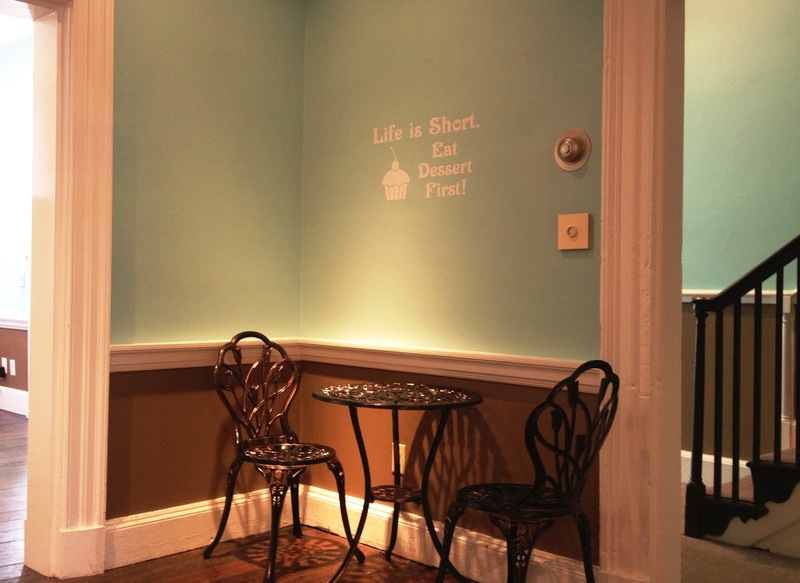 The writing on the walls explains it all in this cute and simple bakery that also happens to have over 170 different cupcake variations that rotate through. "Life is Short. Eat Dessert First!" What is your favorite dessert to bake and why? Cake, which is really why I opened cake shop. Though at home I bake a lot of things that I don’t at the bakery. I like to make a good cheesecake, but that requires time. There really is nothing I don’t like baking, but cake is my favorite. Cake is also one those things that's hard to find...good cake. There is a lot of cake out there but it is not always very good. A lot of it is mediocre And some of it is just plain terrible, so making a good cake really requires some finesse. How do you eat a cupcake? Frosting, cake of a full bite of both? I cut off the bottom, make it like a sandwich, so I sandwich the icing in between and I will eat it in a bowl with a scoop of ice cream. I always do this when I eat my cupcakes, I want to have a little scoop of ice cream on the side. I love ice cream with frosting. That’s really tough. I am the kind of person that when I go to a restaurant I read the dessert menu first. That will determine whether or not I want to save room for dessert, because I like dessert very much. I very much have a sweet tooth. I am very mood driven when it comes to food, so whether it's just what I eat for lunch or whether it's dessert, it is whatever sounds good to me that day. It is really hard for me to pin point what my favorite dessert would be because on any given day that could change. I love cheesecake, when I go to the Cheesecake Factory, I always know I am going to get cheesecake, and I love their banana cream pie cheesecake. I like a lot of things with banana, so bananas foster. If you can find a really good tiramisu, I enjoy that, or a really good crème brulee. So, there is very little that I don’t like when it comes to desserts. Vanilla, I like chocolate, but I am not a chocoholic. I like things that have a little bit of chocolate to compliment everything else instead of being overly chocolate. Though a good chocolate cake every so often I crave as well. I prefer a slice of cake. I sell cupcakes because it is an easy treat to grab when people want to indulge on their own; a little treat for themselves. Tell me a little about the vision behind Occasionally cake. My vision was to bring a product to the Mount Vernon area. There were a few other bakeries in the area, but they sell other baked goods. One of the bakeries sells bread and donuts, and I have no interest in that market. I focus mainly on cake, because I really believe when you focus on one product you can make the best of that product. When you make too many products you end up with a whole bunch of mediocre products. So that is where the vision of having a cake shop came from. 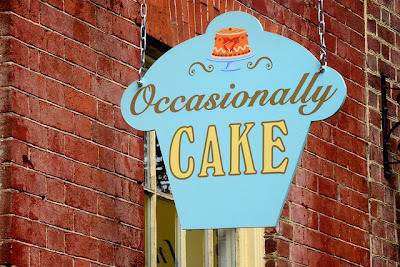 I wanted to bring really good cake to Mount Vernon, to fill a need that we just didn't have met in that area, and I feel like I have been able to accomplish that. What is the toughest part about owning a bakery? That changes over time, if you would have asked me that question a couple of years ago, I would have answered it differently than I would now. I think that hardest part about owning your own bakery or business really, is that you see all of the inner workings and when it is going well and when it's not. I am the one who stays up late at night, and who has a hard time sleeping because we may not have had the best day that day. There are a lot of highs and lows. You could have had a really great day and get really excited, or a day where you get lots of compliments and you feel really great. Then you might have one day that is not as good as your expected it to be; where you have to solve a lot of problems or someone wasn't happy because you can’t make 100% of people happy 100% all of the time. The general worries are the hardest part. Nobody works as hard as the owners do, but it's not always seen, because some of it is done late a night or at home. We have to look at the big picture, and the future and how we are going to grow. There are a lot of moving pieces, and a lot of juggling but it can be rewarding as well. What is your favorite part about owning a bakery? My favorite part is that we can really make it be what we want it to be. We get to choose the packaging for the cupcakes. We get to choose the flavors and create the recipes that we want. We can put our stamp on it and be proud of it. Often Marcia and I look at each other and can’t even believe that we built this. We didn't even know we have this ability. Our favorite part though, is all of the giving back that we have been able to do. We really pride ourselves as a business on being able to give back to the community, and to the schools in the community. We want to make the community that our business is run in a better place. We really work hard to give back to the local organizations. The business is so much more than a business that sells cake. We are a group of people that cares about making a difference in the community and being responsible and good business owners. When did you get into baking? What do you love about it? I got in to baking as a teenager actually. When I was a teenager I hated watching football in the winter. I actually love it now, then though I didn’t understand the game and didn’t like it, so I would spend time baking while my family would watch TV, because I preferred that. Then I worked in food through college. I come from a place though where I like the measuring, I like the perfection and the doing things just so. The business really just came out of a hobby. If you had asked me 10 years ago if I wanted to open a bakery, I would have said no, I certainly never want to own a restaurant. But it's something I connect with. I felt the cake can look good, but it's needs to taste good too. It needs to taste as good as it looks. It needs to be enjoyed. I find inspiration in life from a lot of people. I am blessed to have a lot of friends that have strengths in so many areas that inspire me all the time and teach me to be better than who I am. My mentor really guided me in my business, was very inspirational. My mother taught me that you should always try to be the best at what you do. She never cared what we did, but that we were the best at it. So, I have always striven for excellence because of her. My closest friends inspire me in different ways and I take a lot from each of them. My brothers are both inspirations to me and work really hard and have great attitudes. My uncle and aunt own a restaurant Virginia. When I started this I sat down with my uncle and asked “Soo, what should I do?” I am very blessed to have lots of inspiration. When it comes to flavors I look everywhere. From ice cream flavors and how I would interpret that into a cupcake, to things at the state fair. I've done a caramelized apple cupcake and a fairy floss "cotton candy" cupcake. We even have flavors based on alcoholic beverages, which is funny really because I don't drink, but there are a lot of them that lend themselves well to cupcakes. 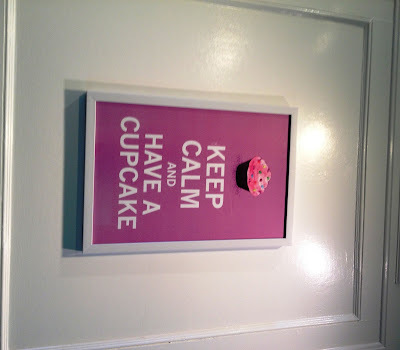 We have mimosa cupcake that is an orange cupcake with a champagne butter cream. Inspiration comes from everywhere. What one tip would you give to someone hoping to open a bakery? 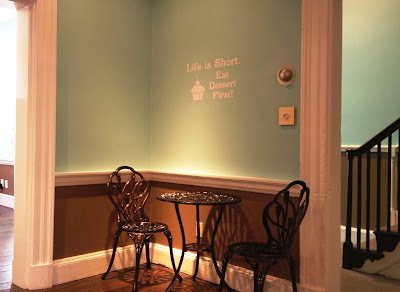 Sit down and talk to other people who own bakeries and really think about it before you do it. You have to be really committed and it's a lot of hard work. I don't foresee this path of life making me so rich that I will be able to retire on my own island in the Caribbean. People that do this kind of job do it for the love of what they do. This is not a rich quick kind of scheme. 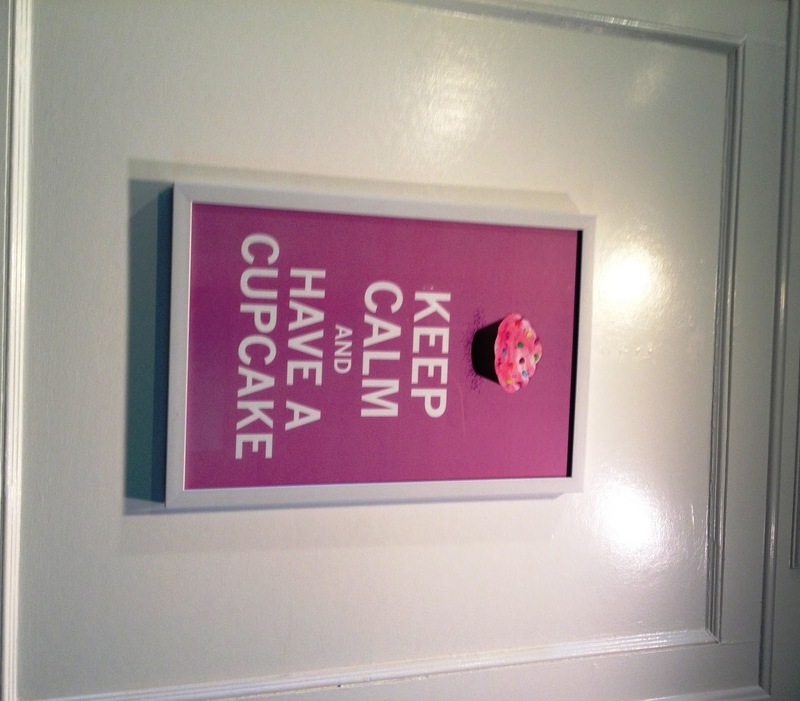 You really have to love it, if you are going to run your own business or bakery you have to love what you do. People can taste that in your product. They can taste when you love what you do. Make sure that you are really passionate and that you love what you're doing. That you're passionate because things take time to grow, you are going to open your bakery and it is going to take time for it to grow. For your reputation to grow, and for people to know that your there. So, it just takes time. If you could bake with one other baker/cook, dead or alive who would it be and why? That's a tough one. I have lots of chef and baker idols. One of the cake artist that inspires me most is Ron Ben Israel in New York City. He has some of the cleanest work of any other cake artist that I know and makes the most beautiful and amazing flowers. I think if I could choose someone to learn from for a little while it would be Ron. I would love to have a business like Ron's. What dessert defines your personality? I was not expecting that one. Hmmm...I would have to say probably bananas foster, because it is upscale, it's sweet, and you light it on fire, which I am very, very fiery and energetic It also goes really well over cool ice cream. I would say that. I can be sweet but classy at the same time; very sassy and I can definitely be fiery.